Model T Ford Forum: Slightly OT- Horn Relay? Model T Ford Forum: Forum 2018: Slightly OT- Horn Relay? E A Labs made a good horn. This is a two-wire model, and could be wired either way: horn button on the ground side or on the "hot" side. I would recommend the hot side.Typically the relay would provide battery power to the horn, and the horn button would throw the relay by providing a ground connection. Any convenient momentary "ON" button can be used, even an original model T one. One advantage to the relay is that it reduces the load on the button. Thanks David, I really appreciate your input on this. I doubt a horn relay is really needed. The voltage draw on those type of horns isn't that large. Besides, you probably won't use it all that much anyways. The contacts on horn button from my 26 Tudor still look great (albeit a little tarnished) after 92 years. No pitting or carbonizing so I doubt the current draw is all that great. If all your connections and wiring are good, I believe you could use an original (or repop) horn button without issues. Just a wee bit off topic, but I have a horn identical to that. It has slowly died. Does anyone either rebuild them or know of someone that will? BTW - Kevin is correct, a small electric motor doesn't draw that much. Most likely just needs a brush & armature cleaning & oil, John. John, many of the internal parts (brushes, springs, etc.) 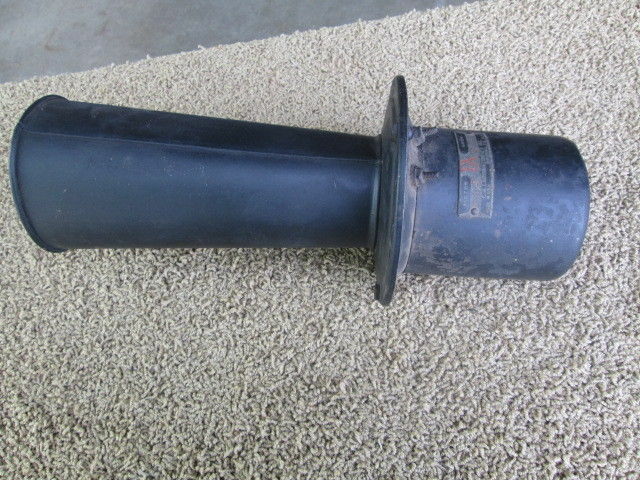 are identical to the Model A Ford horn, so there's a parts source if you need it. 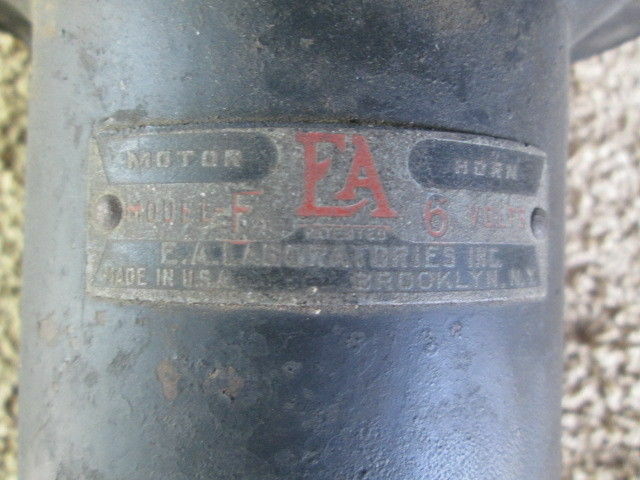 My 2 0wner model A has an EA Labs horn on it (from the factory), which is why I'm a little familiar with it. Kevin is correct, a relay isn't required, but does make finding parts a lot easier, as the horn button one uses doesn't have to be very robust, which opens options up to a lot of momentary push buttons out there, like a doorbell button. I added one on a '22 Buick, as the original buttons for them are pretty much made of "unobtainium" so I wanted to reduce the load on the button for longevity (The car is mostly used in parades, so the horn gets a lot of use). When my dad was a kid he pumped gas on saterdays and someone always came in driving a Model A and my dad would tell him he wanted the horn off it.1 day the guy came in with a new car. Gave my dad the horn off the A. It is in the basement. I have pestered my dad over the years for that horn,although not correct for a T I wanted it on mine. He found a after market ooga horn and I just installed it yesterday on my T pickup. 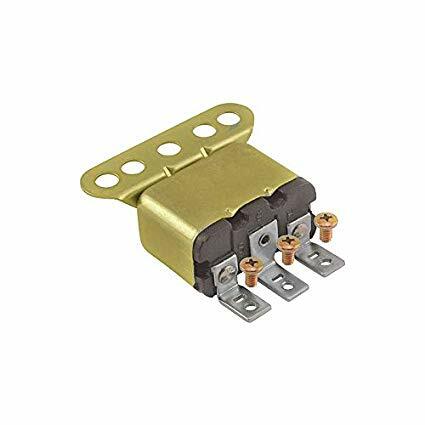 Then I saw this thread about horn relays. Would it behoove me to put a amp gauge inline with that horn and see just what it is pulling? I may need a relay if it pulls over a couple amps. The T battery horn (used from 1922-1927) if properly adjusted will draw 5 amps DC off of 6V system. The magneto horn draws 2 amps AC from the magneto if the horn is properly adjusted. This will give you an idea of the amount of current that the buttons will stand.